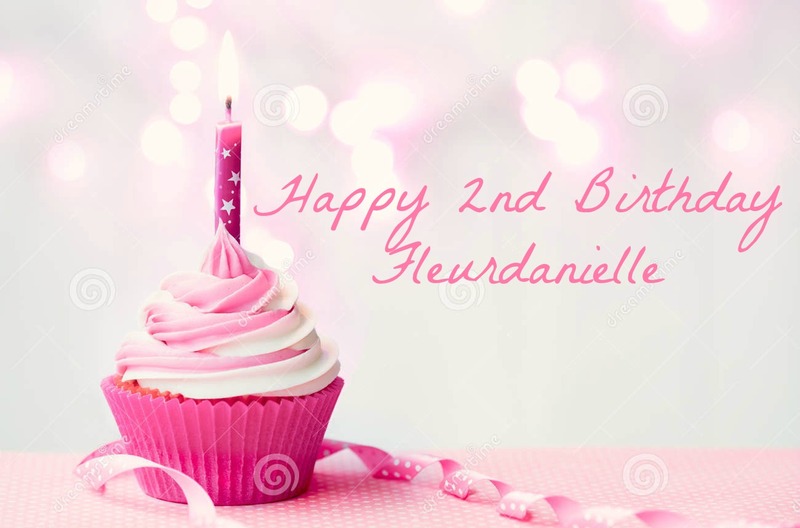 FleurDanielle: Happy Blogging Birthday FleurDanielle! Hey Everyone! So as you can see from the title above today is my blogs second birthday!! Two years ago today I decided to see down on my blog and write my first post having no idea that two years on I'd have written nearly over 200 posts and have over 500 followers. I find that pretty incredible. I thought that I would do a quick post today just to thank all of you who have been reading and following my blog, those of you who leave such lovely comments and to tweet me to let me know how much you like my blog. I really do appreciate it and I am hoping that this year I can make my blog bigger and better than ever. Back in November I did a little what I learnt from my 2 years of blogging post so if you would like to read that then head on over HERE to have a read. I won't make this post too long as not only is it my blogs birthday but it also my Mum's birthday today as well! I will be back tomorrow with a post all about my favourite ever lipbalm so make sure to stay tuned for that and thank you once again to those of you who have supported me and left me such lovely comments on my blog and taken the time to tweet me! It really does mean a lot! Here's to the next 2 years! ☺️. What have been your favourite posts on Fleurdanielle?